Our clever in-house sound booth gives you the chance to create professional sounding audio to help make your next video accessible to your global customers. Take advantage of our voice over services using our in-house vocal booth, and extensive database of voice actors to communicate your brand to new and existing customers in a unique way. 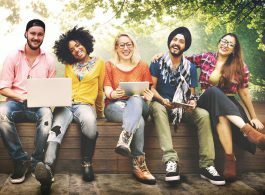 Perhaps you’re looking to train an international workforce about a new initiative? Our vocal booth is the perfect tool to get your message across quickly and effectively. Our voice over studio is able to support any project involving voice over or audio recording. We combine expert qualified voice over artists, voice over directors, state-of-the-art audio recording equipment and software, along with fully trained and experienced sound engineers. Our voice over services’ ISO certified quality procedures ensure that our clients receive the highest quality recording. 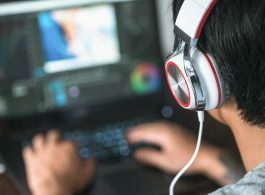 We provide a comprehensive and reliable offering of integrated multimedia solutions and can help you cover all aspects of the production and recording process, from script writing, translation, recording, and editing – all from our comfortable voice over studio. Our voice over services’ technical supervisors work closely with professional producers, voice actors and sound engineers to ensure perfect timing and the highest quality audio and voice over production. The studio uses digital audio editing software, GoldWave that offers a whole host of advanced audio restoration effects and processing tools. Plus, with Skype, users can communicate directly with the voice talent inside the booth to get the very best from the live recording session. Listening to our clients’ needs we can tailor a solution that fits perfectly. Using our sound booth and sourcing voice over artists we can offer a solution that will achieve great results while keeping within your budget. Our voice over services provide you with either external or in-house vocal booth options, depending on what works best for you. Our in-house vocal booth is suited to small/fast-turnaround projects where the end-use is for internet or mobile output. 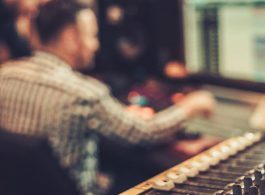 When large, long-term projects are involved or when broadcast/TV-quality output is required, we work with our partner voice over studio, and manage the whole process on your behalf so that you do not need to be involved in any issues such as studio booking or arranging voice over artists. With either option, our experienced voice actors, language directors, and sound engineers ensure that all recordings are exactly as per the brief and with perfect timing.